Forget roller coasters... You only live once and you haven't lived until you have flown upside down, spiralled nose down towards the earth, looped the loop and barrel rolled! If you like the Red Bull Air Races in Perth, you'll love this Aerobatic Flight in Perth! 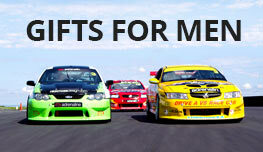 The perfect gift for the ultimate thrill seeker! The closest thing to the Red Bull Air Race! You only live once and you haven't lived until you have flown upside down on an Aerobatics Flight over the land, spiralled nose down towards the earth, looped the looped and barrel rolled your way across the skies. Seated next to an instructor you will be flying aerobatics in a Robin 2160 stunt plane. 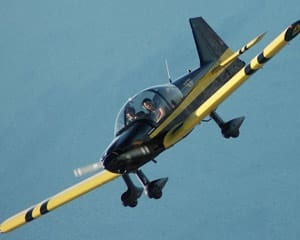 This Canadian built plane is a perfect vehicle for introductory aerobatics. The side by side seating, bubble canopy, crisp handling and sturdy construction make for a nimble but confidence inspiring flight. You will be taken through a full aerobatics routine by your instructor. Loop after loop, roll after roll, you will feel medium to high G-forces on this huge aerial roller coaster ride. As the pilot and yourself are the only ones on board, you can request the full aerobatic treatment, or ask the pilot to tone it down a little for a more scenic flight. Aerobatics is an experience like no other. 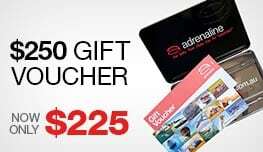 There is no reason to be nervous, you will be flying with one of the best aerobatic flight operators in Australia. This aerobatic and scenic combination flight in Perth is the ultimate thrill! Flights take off from Jandakot Airport, which is approximately 15 minutes drive south of Perth. The airport is well known for the clear and uncongested skies. The perfect location for an aerobatics adventure! The pilot (Daniel) from Air Australia was exceptionally professional, considerate and entertaining. He and the staff made my day, and made me feel safe and welcome. The flight was exceptional. was absolutely amazing. Cant wait to do it again. thankyou so much. Very friendly and helpful staff at Air Australia. Highly recommend this for a great view of Perth and some 'fun' in the air! The Aerobatic flight was fantastic. My pilot was very experienced, accommodating and struck up a good repour. We both had fun. I totally enjoyed the experience. The Adrenalin operator that helped with information on re-opening an 2 old year old gift was great and made it simple and clear. The pilot of the Aerobatic plane was awesome, and made the whole flight informative and exciting.